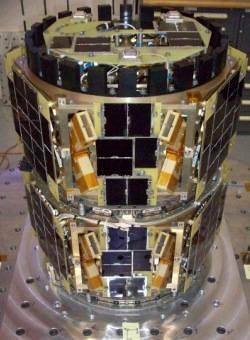 Since Wednesday, October 16 there is nothing heard from the Scientific satellite CUSat. Maybe you can listen for it on 437.405 FM. 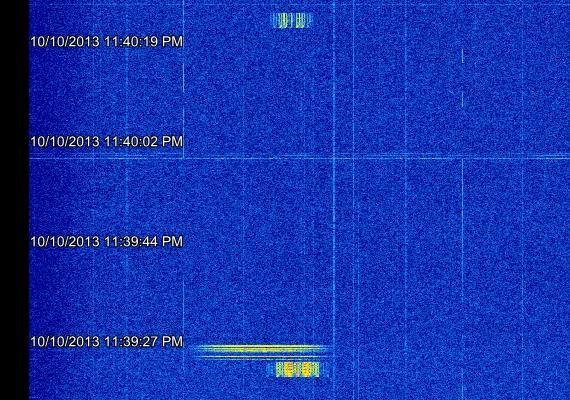 Normally the satellite is transmitting in 1 minute interval with 1k2 AFSK. Max elevation 25 degree azimuth between 158 – 025 degrees. In the beginning of the pass signals where weak but after all 7 frames decoded. Below is one of the latest. Similar to STRaND-1, switching between RHCP and LHCP gives better results. The complete kiss file can be downloaded at the following location: CUSAT Data. One thing that keeps me occupied, and that is the tones that the transmitter of CUSAT is using with AFSK AX25 telemetry. See the picture below and watch the line at the beginning of the burst. It puzzles me. Max elevation 08 degree azimuth 276 – 049 degrees. After the first pass this evening, where it was impossible to decode some data, this pass was much better. The kiss file can be downloaded at the following location: CUSAT Data. Here is one of the kiss frames that I received. 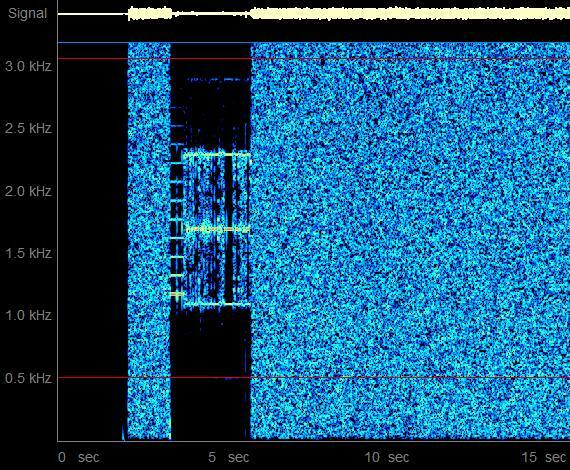 Here some SDR data from this pass, where in the second image can see a strange signal just after the burst. 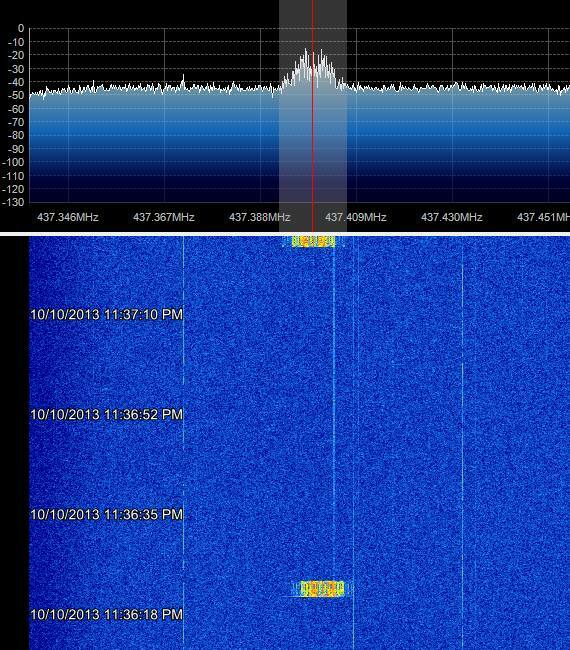 I hope this is a locale glitch or another satellite that is using a similar frequency. Lets start with DANDE, Object C is still working great and I have good number of frames received and decoded. Download the kiss data at this location. Looking at CUSAT, I listened to CUSAT for about 4 minutes and made a IQ recording so I could try some analysis after this pass. One thing that was better then before, and that’s the signal strength this evening. 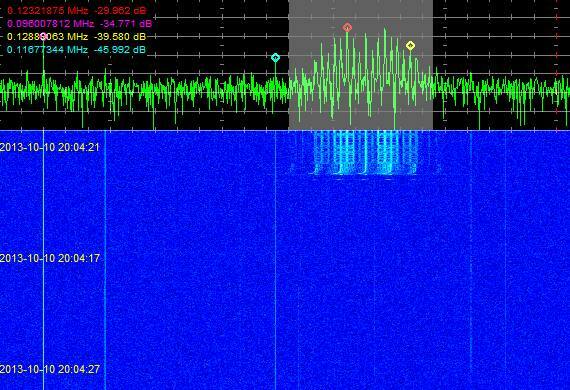 So started the AX25 AFSK sound modem and tried to decode some data. This wasn’t working, no data could be decoded by the sound modem from UZ7HO in combination with AWG Kiss Online. After the pass I toke the IQ file and did some further analyses. I tried both MiXW and UZ7HO but couldn’t decode anything. Maybe somebody can give it a try, the IQ file will be available at the following download location: CUSAT Data. It seems as you can see in this image the signal is strong enough. But one thing that could be making it difficult, and that’s the tones, it seems that they aren’t 1200 and 2200 hertz but slightly of. And another thing that got my attention when playing back the IQ file, is the fact that seems to take an amount of time before the tones are locked at there final frequency.